he Esprit was yet another lower priced Parker introduced in 2008. It was described as a sleek minimalistic pen made for the business woman who desired a smaller, more colourful pen. It came as a fountainpen with a stainless steel nib in the standard nib grades of Fine and Medium, it could use mini cartridges only. The design was simple but aytractive with an aluminium body in different, solid colours and chrome trim. 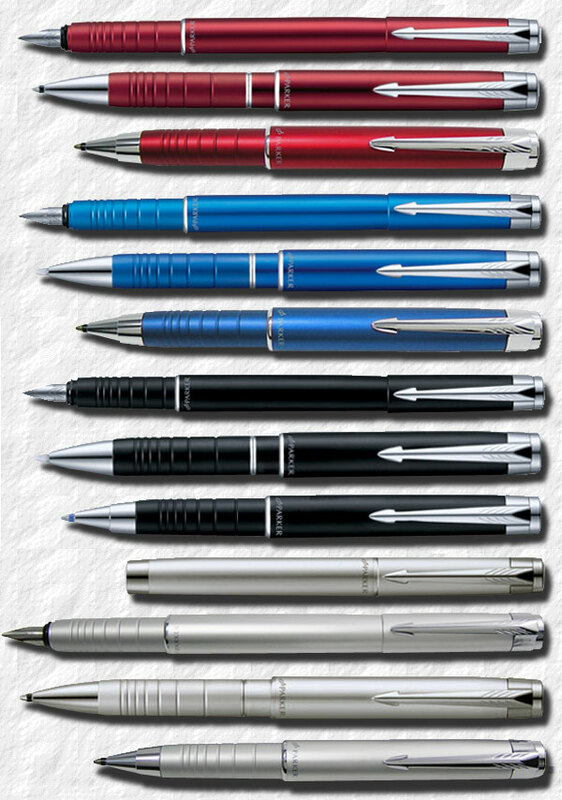 The Duo-pen was a twist activated ball pen with a PDA-stylus. There was also an interesting telescopic action ball pen that rendered the pen even smaller whatn not in use. A push button pencil was also offered, that took 0.5 millimeter leads and had a replacable eraser.